This absorbing book addresses the seemingly simple question of who rules the world by linking it to debates about who owns the world and what this means for the dynamics of global power distribution. 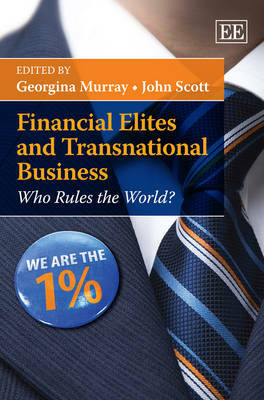 Several expert contributors focus on global issues, including the role of transnational finance, interlocking directorates, ownership and tax havens. Others examine how these issues at the global level interact with the regional or nation state level in the US, the UK, China, Australia and Mexico. The book scrutinizes globalization from a fresh, holistic perspective, examining the relationship between the national and transnational to uncover the most significant structures and agents of power. Possible policy futures are also considered. Academics and researchers across a varied spectrum of fields encompassing business and management, international studies and public policy will find this book both fascinating and important.